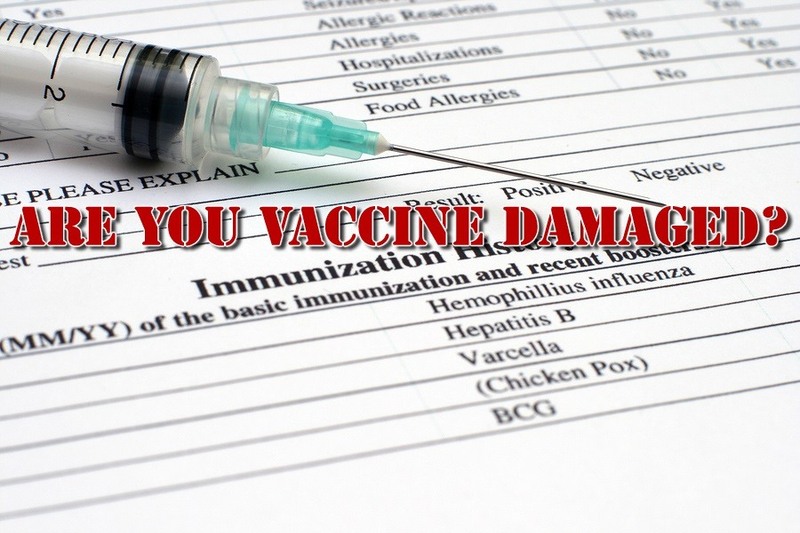 HomeHEALTHHave You or Your Children Been Damaged by Vaccines? Have You or Your Children Been Damaged by Vaccines? There is another kind of cry that now comes from babies, which is quite different. You may not have heard such a cry or maybe if you have, you didn’t recognize it. This kind of cry is an extremely high pitched scream. This cry is an ear piercing shrill shriek that sounds like the baby is having its bowels cut with knives or having its skin torn from its body. This is not a normal cry for the usual forms of parental attention — it is a plea for protection and deliverance from a sinister menace. This shriek is the sound of uncontrolled terror and pain. The cause is commonly an adverse reaction to a vaccine. Once you have heard this kind of scream your heart will never be the same, because you realize that something is terribly wrong and you can’t fix it by changing a diaper or giving milk. This article is the first in a series about vaccine damage and recovering from vaccine related illnesses. This article will help you recognize the symptoms of vaccine damage in your children, in yourself, and in friends and family members. Future articles will discuss various options that can be used to heal the damage that vaccines and other toxins have caused. Children are at the highest risk for vaccine damage, because they will typically be given 69 doses of vaccines by the time they are 18 years old. There are many signs of adverse reactions to vaccines, but unless you have learned to recognize them, it is easy to just overlook them or to assume that it’s just the way kids are today. In fact this is one of the great myths propagated among parents of childbearing years. Doctors now give the label of “normal” to situations that were once considered to be extremely unusual or abnormal. Believe it or not, babies used to be easy to manage with the exception perhaps of when they were sick. Blood curdling screams were very rare. Crying for hour after hour with no apparent cause, being listless, failing to grow and mature on schedule were unusual. Today when these kinds of symptoms happen, parents are just told that your son or daughter will grow out of it — you don’t have to worry. My heart breaks when I see a 4 year old child who didn’t “grow out of it.” I have observed many young children who are in the 3 to 5 year range who still can’t put words together to speak an intelligible sentence. Their articulation of words is so indistinct that no one, not even their mothers, can figure out what they are saying. They are probably somewhere on the Autism spectrum, but they have not been diagnosed. The Autism spectrum prevalence rate used to be 1 out of 10,000 children. Today it is 1 out of 50 children. Attention deficit disorders (ADD) hyperactivity and specific learning disabilities are so prevalent that most parents just think such conditions are normal. Fifty years ago, public schools did not have pharmaceutical drug dispensaries, because children didn’t need pharmaceutical drugs. There were cough medicines and antibiotics, but we took those when we were really sick — literally too sick to go to school. No one needed drugs like Ritalin, because we were able to sit and focus. Yes, there were a small number of children with low IQ, and they needed special education classes, but the rest of us didn’t need more than what a single teacher could provide in the regular classroom. We didn’t need pharmaceutical medications in order to learn. It was an age when there were very few drugs targeted toward children; and there were a very small number of vaccines. It was an age when communicable childhood diseases were part of growing up. It was an age when our immune systems grew stronger every time we experienced a childhood disease. Things have changed a lot since the 1960s. The standard of care in the United States now involves a very aggressive vaccination schedule during the first six years of life. There is no debate that vaccines cause harm. In fact they cause so much harm that the pharmaceutical companies threatened to stop producing vaccines unless the United States government indemnified them against being sued for adverse reactions. 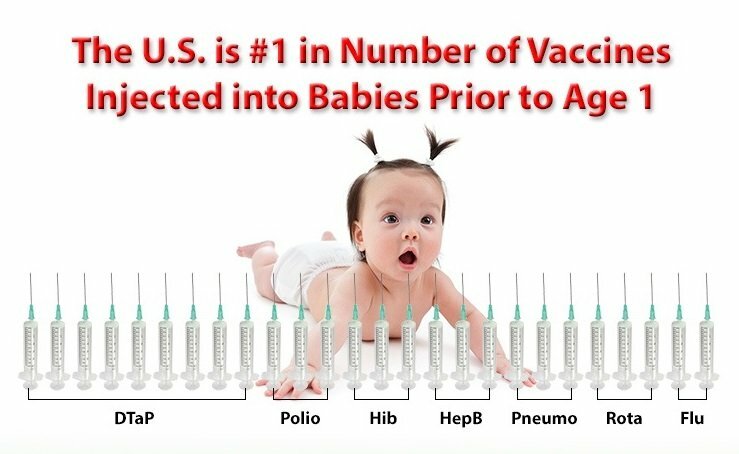 One of the biggest problems associated with vaccine use is the word “coincidence.” If for example, you were to take your 6 month old child to the typical pediatrician for a checkup, you would be told that it is time for certain vaccines. If you agree, then your child will receive several vaccines at the same time, which is the standard practice. For thousands of children, the vaccine reactions do not pass. They don’t grow out of it. Their development is arrested and reversed. They lose the ability to speak complete sentences. Some lose all verbal communication. Some stop walking and need to be returned to diapers. Some have persistent seizures, repetitive behaviors, self-wounding behaviors, violent and angry outbursts, uncontrolled hyperactivity, inability to learn anything new, inability to eat or digest food, etc. Some suddenly die from respiratory failure. Some get progressively more and more damaged until they fall into a coma and then die. [4, 5] The list of adverse reactions is actually much longer as will be explained. I will not be making the case in this article to prove that vaccines can produce harm, because that has been well documented [10, 11] and the US government admits this fact. It is quite possible that children and adults can be having adverse reactions to vaccines without anyone recognizing the situation as being potentially life threatening. The result is that more and more vaccines are taken until there is a tipping point in their health where infants, children, teens, and adults become disabled or die. We are speaking about the lives of real people – not statistics. Adults continue to suffer from the damage they received from childhood vaccines. 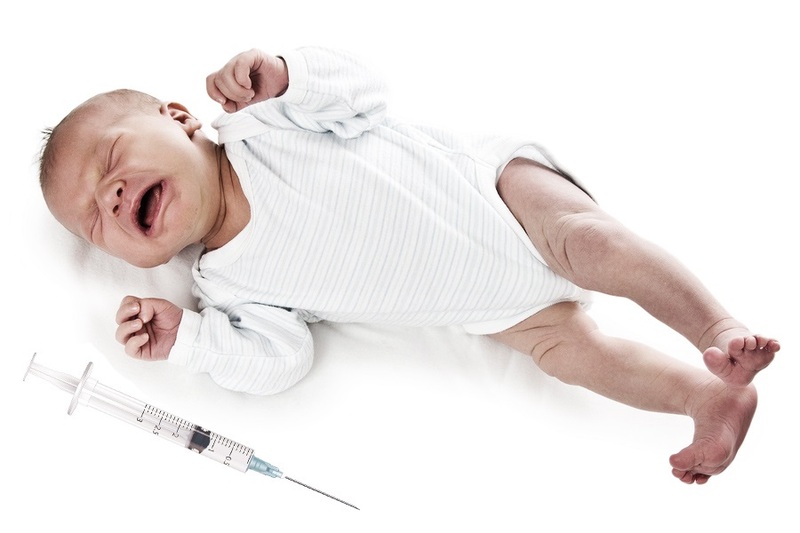 Newborn babies have died after getting seven vaccines on one day. Thousands of US soldiers became disabled after getting one or more anthrax vaccinations. People living in nursing homes can become crippled from flu vaccine or can die from pneumonia that started immediately after they received the flu vaccine. All this represents real suffering and real harm. There are dozens of websites designed to tell us all the horrible things that will happen to us if we don’t take every vaccine available. The reason for taking each vaccine is carefully explained. We are kindly told the reason we need each vaccine is that the disease has horrible symptoms and can cause death. What we are not told is that taking the vaccine can cause horrible symptoms and can cause death, sometimes more frequently than the disease. In some cases the horrible symptoms that people experience after taking vaccines are the symptoms of the disease itself, because they actually develop the disease they were supposedly immunized against. For other people, the various components of the vaccine such as adjuvants, preservatives, and emulsifiers can do even greater harm than the bacteria or viruses that are in the vaccines. I realize that many who read this have already discontinued taking vaccines, because you are convinced that the potential harm is much greater than the possible benefit. However, even if you haven’t had a vaccine in a while, or you are still taking them, they could be part of what is causing some of your health problems today. The combination of previous vaccine exposure when combine with current challenges to your immune system and nervous system can produce serious illness. If you can spot potential vaccine reactions in your family and in your friends, then you can give them a warning, which just might save their lives. So, let’s take a look at some steps that you might wish to take to monitor the health of your children, yourself, and your family and friends. What causes a Vaccine Reaction? Vaccines are a complex combination of harmful substances that are designed to cause a stress reaction in the body. It is hoped that the reaction will cause modifications to the immune system, which will protect the person from becoming infected by a communicable disease. As a result, adverse reactions to vaccines can be caused by any of the components in a vaccine or by a combination of the components. Some say that adverse reactions are caused by the bacteria or viruses (whether living or inactivated) that are in the vaccine. Some say that it is the mercury preservative (Thimerosal), which produces vaccine damage. Mercury is implicated in a wide number of neurological diseases, immune system suppression, and digestive system impairments. Others say it is Polysorbate 80, which is used as an emulsifier and an excipient. Polysorbate 80 has been showed to cause infertility and cancer. Some are convinced that damage is caused by aluminum, which is an adjuvant added to vaccines to stimulate the immune system’s response to the bacteria or virus in the vaccine. Aluminum is a poison that can cause bone, bone marrow, and brain degeneration. Aluminum reduces the negative electrical charge in the blood, which causes blood cells to clump up when they try to pass through the very tiny vessels of the capillary beds. Formaldehyde (embalming fluid) is used in vaccines to kill live bacteria and viruses. It is a carcinogen. Finally, vaccines are known to contain mycoplasma, which are tiny infectious agents that can invade cells and damage mitochondrial activity. All these factors can cause reactions and produce severe and disabling illness and even death. Now let’s add to this a whole host of other environmental and health related factors, which weaken our health and suppress our immune systems and endocrine systems. For example, pesticide exposure in air, water, and food, genetically modified materials found in GMO food, all manner of food additives such as synthetic coloring, artificial flavors, excitotoxins, and preservatives can place the human body under great stress and make a vaccine reaction more likely. To this list, we can add various residues found in our water supply from pharmaceutical drugs, aluminum residue from water treatment, chlorine, fluoride, and numerous other chemical toxins. Let’s also consider our general health. Some of us have histories of illness, immune system suppression, cancer, diabetes, or heart disease. 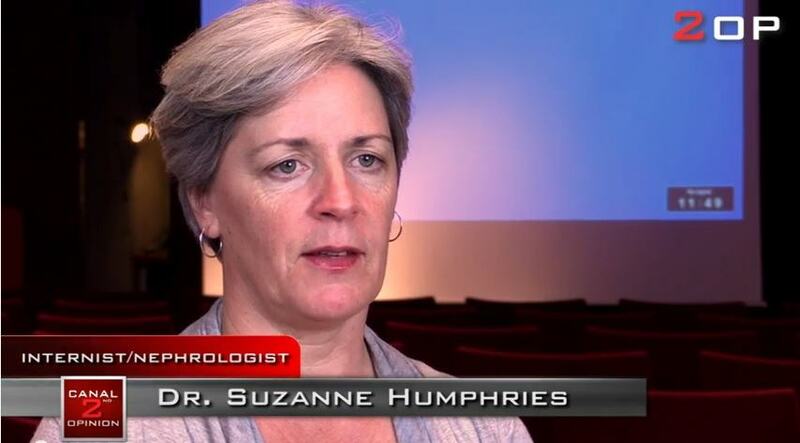 Some people take pharmaceutical drugs with various black box health warnings. When all of the factors that I have listed are combined, the result is that some people will have serious and life threatening reactions when they are exposed to vaccines. We don’t know who will have a reaction or how severe it will be. We also don’t know when the reaction will occur. 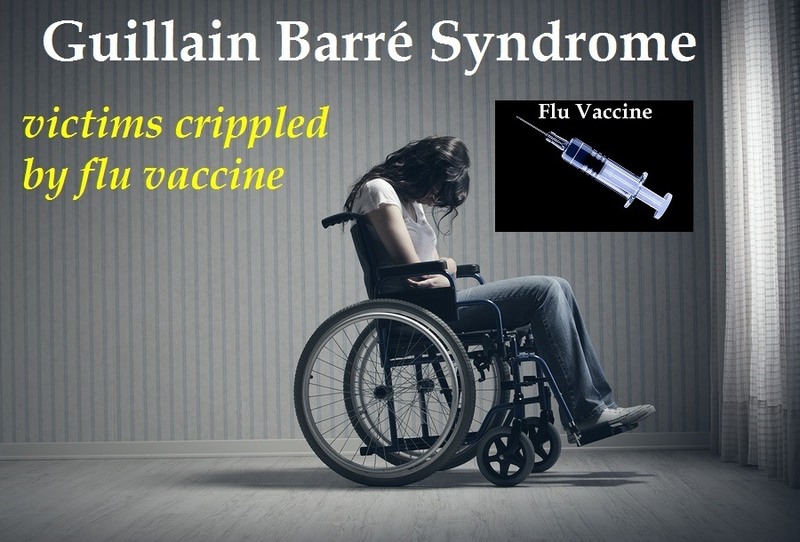 One person may not experience noticeable problems with vaccines, while his next door neighbor may become paralyzed with Guillain-Barré syndrome after taking the same vaccine. What are Some of the Earliest Warning Signs for Vaccine Damage? There are a set of early warning signs that continue to go unnoticed, because they don’t cause dysfunction or pain. 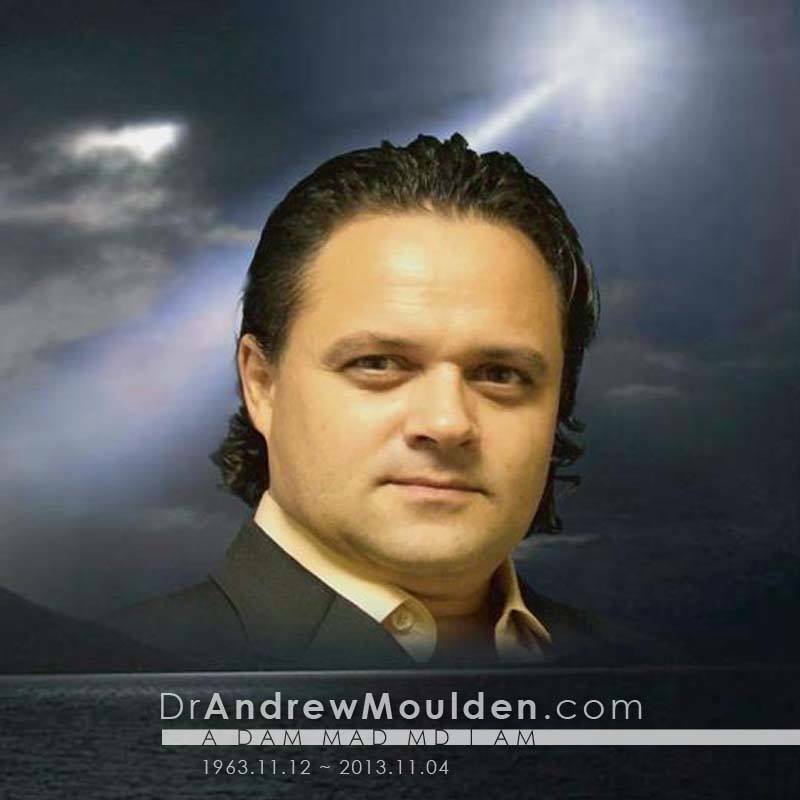 These were identified by Dr. Andrew Moulden MD, PhD in the first decade of the twenty-first century. Dr. Moulden observed certain clinical indicators of stroke in children and adults after they received vaccines. 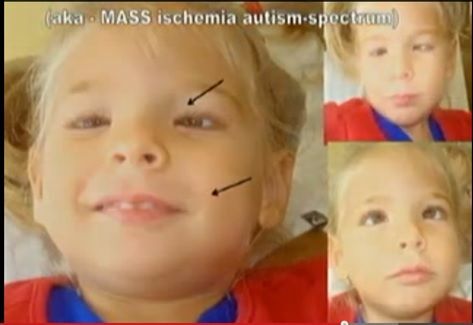 Infants that once had perfectly symmetrical facial features suddenly developed asymmetric features, which were the same types of changes that appear when an adult has a stroke. A stroke is caused by impaired blood flow to a part of the brain, which deprives cells of oxygen and causes cells to die. Dr. Moulden observed that the normal alignment of the eyes would change after vaccination. Suddenly, one of the eyes would turn slightly inward or sometimes outward when compared to the other eye. 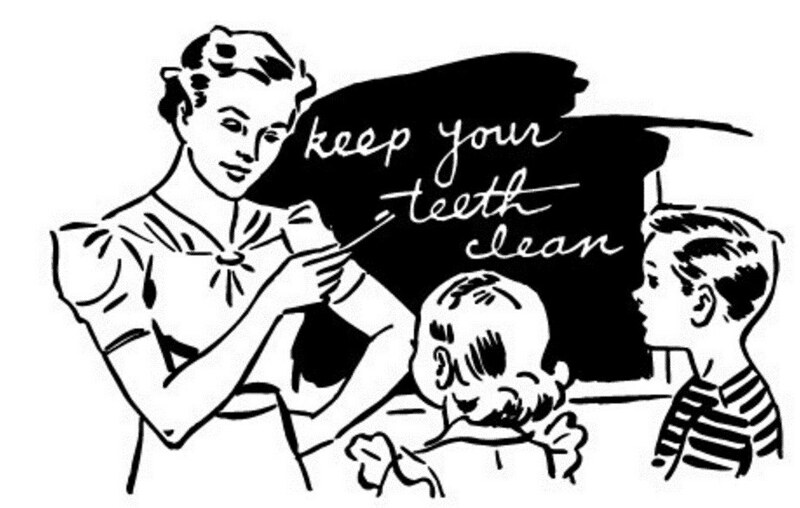 He saw that one corner of the mouth would droop downward when the person smiled. He saw that there would be a loss of muscle tone in the area of one of the cheeks where it is nearest the nose and the upper lip. Sometimes these changes were temporary and sometimes they were permanent. Because of his training in brain physiology and acquired brain injury, he knew that these visual signs were signs of mini-strokes, which were associated with damage to specific cranial nerves in the brain. These nerves control the muscles of the face. People may not have been aware of having a mini-stroke, because the brain does not have a pain response to impaired blood flow, nevertheless their brains were being damaged. There are several causes for strokes, which include blood clots, vascular thrombosis, vascular swelling, and the sludging of blood in the capillary beds of the brain. Strokes from blood clots and thrombosis, when they occur in larger blood vessels can be found through imaging technology. However, the last cause of these mini-strokes, blood sludging, occurs in the smallest blood vessels in the body, which are too small to be viewed by current imaging technology. When blood sludges, it is unable to flow smoothly through the capillaries. Basically the blood flow stops and the cells in the affected area will begin to die due to lack of oxygen. This happens in areas known as capillary beds, which are the smallest vessels in the vascular system. They are so small that red blood cells have to squeeze through the vessels single file. There are 12 cranial nerves in the brain. Dr. Moulden found that if the sludging occurs in the area of the seventh cranial nerve in the brain, then that nerve will weaken and there will be a drop in the corner of the mouth when a person smiles. If the sludging is in the area of the third, fourth, or sixth cranial nerve, then the alignment of the eyes will be affected. In some cases one eye will focus in a slight upward direction, which causes a person to tilt the head slightly to bring about a level focus to his vision. There can also be slight asymmetric movement of the eyelids when a person blinks. The changes in the eyelids can only be seen with ultra-slow video playback. The eyelids normally close and open in perfect harmony. Sometimes when there is a mini-stroke, the eyelids will open and close at slightly different rates. This cannot be seen with the naked eye, because eye blinks are so rapid. If the impaired blood flow occurs in the region of the brain that controls respiration, then breathing can be impaired, and in some cases can be completely stopped. If this happens, then sudden death from respiratory arrest will occur. The technical name for these mini-strokes is a transient ischemic attack (TIA). A TIA can actually occur anywhere in the body where the very small capillary blood vessels are located. However, when they occur in the brain, then the evidence of the stroke can be seen in the composition of the face. Science is only a manmade truth-seeking tool. It is fallible. It is a statistical, probabilistic mathematical model. It has limitations. Wielded for profit – truth can become lost. All vaccines have been causing “burns” to body and brain. The brain has no pain receptors. You will not feel the pain. You can, however, see the footprints of these “burns” immediate and delayed, from each vaccination. The evidence was before our eyes all along. We simply did not appreciate what these “burns” meant let alone that they were emerging after each vaccination. The “burns” are largely to internal organ systems. We can ALL now see the damaging effects of these “burns” with our own eyes. Seek, and you shall find. Knock and the door shall be opened unto you. I have sought. I have knocked. The door has been opened. I have found the truths I was seeking. The answers have not come from my own understandings. The answers are simply self-evident (res ipsa loquitur) the thing speaks for itself. If you begin to closely examine the faces of children and adults as you go through your daily life, you will begin to see the exact signs that Dr. Moulden described. You don’t need to say anything to anyone, just take a close look at the corners of the mouth, the eyes, and the cheeks. You will begin to see the types of asymmetric characteristics that Dr. Moulden described. For members of your family, you may wish to compare their current appearance with photographs that were taken before they received vaccines. When you see what Dr. Moulden described, you are most likely seeing the results of vaccine damage. Sometimes this type of damage can be caused by other factors such as infectious diseases which can also cause a TIA in part of the brain. Sometimes exposure to toxic environmental contamination can produce TIAs. The truth is that the chemical soup that is in our air, our water, and in our food is all contributing to the destruction of our health. When we add in vaccines, then many people are pushed into serious degenerative diseases. Young people are most at risk, because they are typically receiving such high numbers of vaccine doses. But, even with senior adults, the damage is evident. Dementia is at epidemic levels, yet very few are asking why we are seeing this change. It is not aging that causes dementia. The best way to prevent brain damage from vaccines is to avoid taking vaccines. When this strategy is combined with drinking clean water, breathing clean air, and eating whole food that is not contaminated with pesticides and genetically modified residue, then we are reducing our risks for modern diseases. Dr. Moulden and many other researchers have been working for many years to bring healing to those who have been injured by vaccines and toxic exposure to environmental agents. Dr. Moulden was convinced that vaccine damage to the brain could be healed, because even though there has been damage to certain brain structures, the brain has the ability to establish new neurological connections in various ways. Future articles will examine some of the treatments that are being used to help people with vaccine damage. There is hope and all is not lost when a child or adult experiences vaccine related damage. The road back to health may be long and difficult, but for many people there will be opportunities for restoration of health. We [doctors] are selling you vaccines, for profit, which are causing illnesses and death. We then sell you symptom based pharmaceutical products, for profit, to treat the damages and disorders we have caused. Remarkably, I can now say that the vaccine damages extend to the realm of cancers in addition to varied autoimmune and neurodevelopmental disorders. All vaccinations are causing “silent” brain and organ damage in exactly the same way that wild polio virus caused paralysis and respiratory failure and how other infectious “plagues” of days gone by, have crippled, maimed, paralyzed, and killed. This is now proven. The damages are additive and summative with each vaccination given. The organ, tissue, and brain damages have been clinically silent – until now. You may wish to watch the 6 hour video presentation prepared by Dr. Moulden to learn more about the causes and symptoms of vaccine damage. It is available on YouTube in three volumes. TLB would like to announce the newest addition to our valued partner, Health Impact News, and their excellent project. Along with Medical Kidnap, Vaccine Impact now joins this outstanding organizations growing website family to propagate the information vital to the health and well-being of you and your family. TLB Highly recommends you visit these fine websites for more great/pertinent articles and vital information. See featured article and read comments here: Have You or Your Children Been Damaged by Vaccines?